In Pt. 3 of Personal Stories, the panel continues as Joe Vasquez, Co-Director at Runway Incubator shares his stories and lessons of struggle with microaggressions as a hearing impaired Latino in the mainstream and corporate world. He discusses the importance of the variety of accessible gateways of expression, including art, and how they allowed him to fully reveal his perspectives to others. Through his experiences, Joe has developed a passion for helping entrepreneurs and corporations to innovate more support, love, and value in the workplace. Despite his hearing impairment, Joe has also learned how to be a male ally. So I just want to start off by saying that to most people I personify as the dominant archetype. Outwardly, I look like a white male, but there's a lot more nuances to my story that I wanted to share. My name is Joe Vasquez and I am Co-Director at Runway Incubator in San Francisco. My early childhood was marked with a lot of different types of struggles that most people don't generally have to go through. I lost all of my hearing, well most of my hearing when I was about one years old. In my left ear I can't hear at all. In my right ear I have about twenty percent of my hearing. I went to an all deaf school where I first learned sign language. My father being a traditional male Latino wasn't exactly fond with the idea that I was gonna be in a non mainstream school. I was put in a mainstream school where I was constantly singled out, I felt like I didn't have a place within that community. I was always the deaf person. I didn't really know how to speak the same language, even though we were speaking the same language. My father passed away when I was fourteen. Most people in my family struggle with addiction. Being Latino was not part of my everyday life because I didn't feel like I could own and live with.....but also I'm blessed. One of the great things about going through struggle and adversity when you're growing up is the ability to develop a sense of empathy, awareness that anybody, regardless of what they look like, have struggles large and small but at the end of the day it's important to realize that we're all human. Being deaf I thought I was going to be a singer growing up until people started complaining about it. I still sing in the office and people still complain about it, it's a little bit of a problem. But with that being said, I really fell in love with the cameras. I love painting, drawing, expressing my ideas through visual mediums. A unique view of the world....the perspective that I had that allowed me to express my ideas in very unique ways, which translates in a little bit, to my work in entrepreneurship. But one thing that I took away from that is, people with different abilities have so many unique ideas and we need to give them the medium, the new canvas, the different ways to express those ideas, whether it's visual or orally, there's so many different ways to express it and give them the space and the opportunities, like some of our amazing panelists have said so far. Increasingly, I saw the idea that art could connect so many unique ideas in powerful ways which later has translated into creativity and entrepreneurship in what I do today. Currently I work for Runway Incubator based in San Francisco. 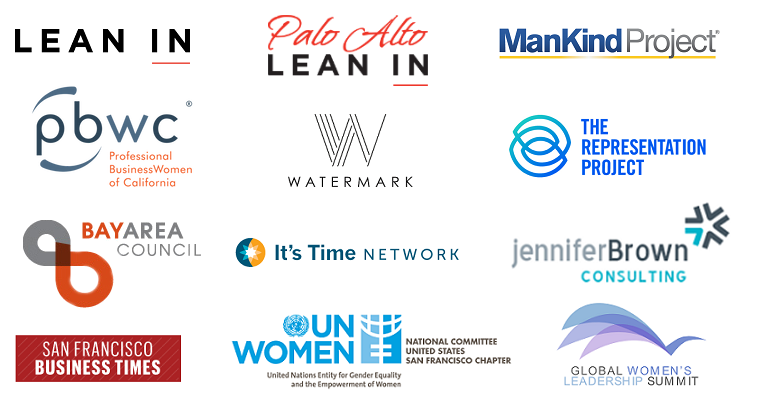 We are a co-working space with about seventy five companies, a corporate innovation facility where we work with global two thousand companies to help them innovate, work with startups, and find the next generation technology and a social impact fund where we invest in cutting-edge social impact technologies. I have been able to work with a wide-range of amazing entrepreneurs. But to me entrepreneurship marries the realities of the world with your interpretation of the possibilities, something where meritocracy is an everyday reality, but sometimes it's not. And I'm working with some of the greatest people to help make entrepreneurship a true meritocracy, because at the end of the day there's a block that's holding back some of the best and the most promising entrepreneurs from being the most successful. One of the great things about entrepreneurship is that is requires empathy, it requires passion, perseverance. Some of the true hallmarks are some of the people who have gone through the most adversity growing up. We've seen time and time again the most promising entrepreneurs come from the most underrepresented backgrounds, which is why we’re placing all of our money in the entrepreneurs who understand the stories and the problems of the people that we're trying to help the most. I set out to connect different ideas to create a new reality...one that solved the most serious problems in the world. So one of the things that we talked about so far ... I've seen time and time again, microaggressions. Now some of you may know what microaggressions are. Microaggressions are subtle, sometimes inadvertent, subconscious aggressions or behaviors that make people feel like they don't have a safe place to express and fully be who they are. Six of ten employees today quit due to a lack of emotional safety, oftentimes caused by these, so said, microaggressions. Examples of microaggressions that I've seen: Lack of accessible options for team dialogues and activities. I've been in conversations where we're talking about strategy for two years, three years, four years..a group of six, seven, eight people....I feel completely lost even though I'm in the middle of that group because I can't hear. Often times, what we don't work with, or understand the people that we are working with, it's hard to accommodate for them and it's hard for some people to speak out, like myself. I never spoke out until now. Sometimes investors and myself included, I've been guilty of this many times, have used coded language that said that some people are from a certain subset, maybe don't have the same level of promise, skills, expertise to be successful as entrepreneurs later on. So as investors, I'm trying to hold everyone accountable for the language and the tone that we use with founders coming up. Being that, you know, one of the things that I believe you alluded to before is this, "get your work dying type mentality and don't cause too many ripples in the pond." Sometimes I have had white or dominant co-workers say, "Speak up, Speak out! ", which is almost forcing this idea of aggressive personality or dominant personality in the workplace. Sometimes culture is unique to who we are, where we come from, and it's important to appreciate and realize that. So what are some ways that I have been actively working on that you could potentially learn from? Realize this, we're all human. It's important to be humble, we're going to make mistakes in this work but everyone wants to feel safe and valued at the end of the day. Be self-aware and aware when microaggressions are happening, say something. Learn the different between mentorship and sponsorship because they're two very different things. Create a culture oriented environment with feedback to be given in many different ways, which I believe was alluded before. It can be anonymous feedback, it could be blunt in your face feedback, where sometimes it's a little bit hard to hear. Listen and avoid being defensive when someone speaks up about a comment construed as a microaggression. And finally, create an accessible environment, for people like myself, for people who you might work with in the future, because at the end of the day, we all need a hand up, we all need someone to work with who will work, support, love, value, and cherish us in the workplace. So thank you for all the work that you do, I'm very excited to be here and have a great day. Are you ready to unlock more creativity, build stronger relationships, and improve your performance at work? Our friend, Mike Robbins, has spent 17+ years helping people, leaders, and teams enhance their results and thrive in today’s complex business world. His latest book, BRING YOUR WHOLE SELF TO WORK, will help you expand your emotional intelligence, deepen your growth mindset, and bring more authenticity to the way you communicate, lead and work. It’s available now and when you order it today, Mike will send you some great bonus gifts as a thank you. Click here to purchase. Learners and Leaders seeking workforce inclusion.